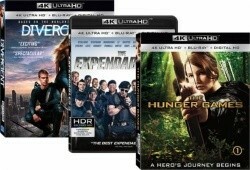 Best Buy offers select 4K UHD Blu-ray Movies for $14.99. Find deals on 4K titles such as The Incredible Hulk, Skyscraper, Pitch Perfect 3 and more. Free shipping on orders over $35. Save on shipping by choosing free in-store pickup at a Best Buy store near you. Deal ends Saturday night. 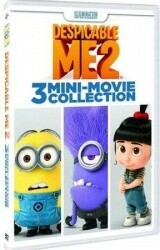 As one of their weekly deals, Best Buy has select Family Movies starting at only $9.99 each. Free shipping on orders over $35. 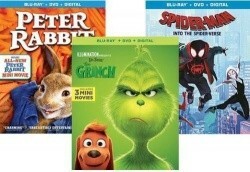 Plan fun-filled movie nights with Peter Rabbit, The Grinch, Spider-Man: Into the Spider-Verse and more. Save on shipping by choosing free in-store pickup at a Best Buy store near you. deals ends Saturday night. Amazon has the highly rated (average 4.6 stars) Kung Fu Panda: 3 Movie Collection Blu-ray Set for $14.99. Free shipping with Amazon Prime. Don't have Prime? Get a free 30-day trial, otherwise get free shipping on $25 or more. 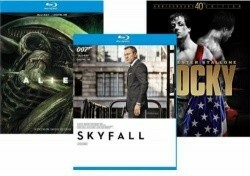 This week, Best Buy offers your Choice of 3 Select 4K UHD Blu-ray Movies for $50.00. Discount will apply in cart when 3 qualifying movies are added. 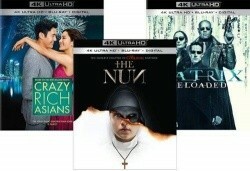 Choose from Crazy Rich Asians, The Nun, The Matrix Reloaded and a dozen more. Free shipping is also included with this deal. Offer ends Saturday night. 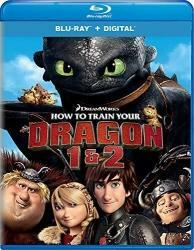 Amazon has the highly rated How to Train Your Dragon 1 & 2 Blu-ray Movie Collection for $14.99. Free shipping with Amazon Prime. Don't have Prime? Get a free 30-day trial, otherwise get free shipping on $25 or more. For a limited time only, Amazon lets you choose 3 Select 4K UHD Blu-ray Titles for $39.99 or less. 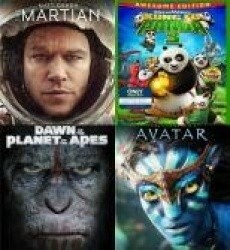 Choose from over 155 movies. Add 3 to your cart and he discount will be automatically applied at checkout. Free shipping with Amazon Prime. Don't have Prime? Get a free 30-day trial, otherwise get free shipping on $25 or more. Amazon is having a $5 & Under DVDs Sale. Save on thousands of movies from all categories all $5 and under. Free shipping with Amazon Prime. Don't have Prime? Get a free 30-day trial, otherwise get free shipping on $25 or more. 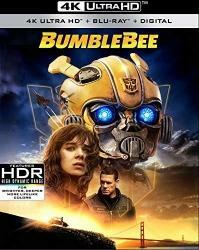 Amazon has the highly rated BumbleBee 4K Ultra HD Blu-ray + Blu-ray + Digital Copy for $24.99. Free shipping is included. Until January 31st, Amazon is offering free shipping on everything they ship with no minimum needed, even if you don't have Prime! Amazon has put together a great selection of over 750 Movies & TV Bargain Finds. Deals start at only $4.00. Find Blu-rays, DVDs and more. Great time to stock up! Free shipping is also included on all items in this sale. 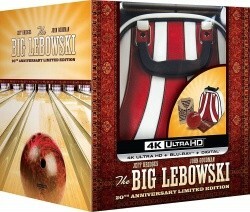 No need to go find a cash machine, Amazon has The Big Lebowski 4K Ultra HD Blu-ray 20th Anniversary Box Set for just $32.00 with free shipping. Includes 4K Blu-ray, Blu-ray, digital copy, collectible bag, bowling ball pencil holder, polishing cloth & sweater packaging. Target is having a limited time $15 Sale on a nice selection of New Movie Releases. 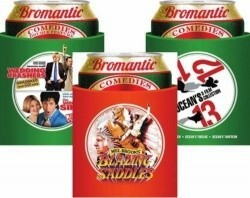 Perfect as stocking stuffers for the movie lovers on your gift list! Free shipping is also included with this deal. Save an extra 5% off most Target.com orders with a Target REDcard. No need to go find a cash machine, Amazon has The Big Lebowski 4K Ultra HD Blu-ray 20th Anniversary Box Set for just $41.76 with free shipping. Includes 4K Blu-ray, Blu-ray, digital copy, collectible bag, bowling ball pencil holder, polishing cloth & sweater packaging. Limited time special! Amazon is offering your choice of Three (3) 4K UHD Blu-ray Titles for $39.99. Choose from over 135 movies. Add 3 to your cart and he discount will be automatically applied at checkout. You will also get free shipping on these items. For a limited time only, Best Buy has select Halloween Movies starting at only $3.99. Find fun for all ages with Casper, The Nightmare Before Christmas, Hocus Pocus and more. Free shipping on orders over $35. Save on shipping by choosing free in-store pickup at a Best Buy store near you. This week, Best Buy is offering select Children's and Family Movies starting at only $5.99. 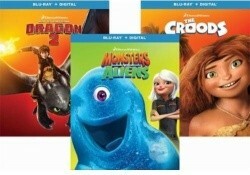 Choose from titles such as The Croods, How to Train Your Dragon 2, Monsters vs. Aliens and more. Free shipping on orders over $35. Save on shipping by choosing free in-store pickup at a Best Buy store near you. Amazon has the Pitch Perfect Trilogy 3-Movie Blu-ray Set with Digital Copies for $16.99. Free shipping with Amazon Prime. Don't have Prime? Get a free 30-day trial, otherwise get free shipping on $25 or more. 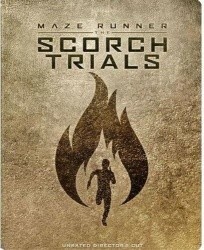 Walmart.com is having a Movies & TV Shows Clearance Sale with deals starting at only $3.74. Get free 2-day shipping on most orders of $35 or more, and free in-store pickup may also be available. 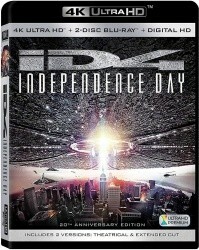 Amazon.com has the Independence Day 20th Anniversary Edition 4K Ultra HD Blu-ray for $11.99. Free shipping with Amazon Prime. Don't have Prime? Get a free 30-day trial, otherwise get free shipping on $25 or more. 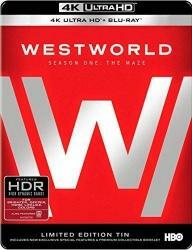 Amazon.com has the Westworld: The Complete First Season 4K Ultra HD Blu-ray Box Set for $18.99. Free shipping with Amazon Prime. Don't have Prime? Get a free 30-day trial, otherwise get free shipping on $25 or more. 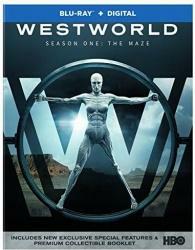 Amazon.com has the Westworld: The Complete First Season Blu-ray Box Set for $24.99. Free shipping with Amazon Prime. Don't have Prime? Get a free 30-day trial, otherwise get free shipping on $25 or more. This popular deal is back! Build up your 4K Blu-ray collection as Amazon.com has a special promotion for 4K Ultra HD Blu-ray movies. Choose any 3 from a selection of well over 100 featured 4K UHD titles for $49.99. Free shipping is also included with this deal. 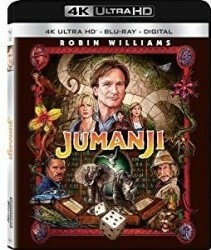 Amazon.com offers your choice of "3" Three Select 4K UHD Movies for $49.99. Discount will apply at checkout. You will also get free shipping with this deal. 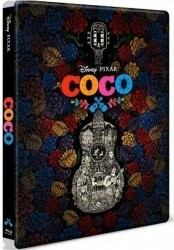 BestBuy.com has the Disney Pixar Coco Best Buy Exclusive Blu-ray DVD Steelbook Set for $27.99. Free shipping on orders over $35. Save on shipping by choosing free in-store pickup at a Best Buy store near you. Target.com has buy 2, get 1 free on select Movies, Books & Board Games this week only. Free shipping on orders of $35 or more. Get free shipping on all orders and 5% off with a Target REDcard. 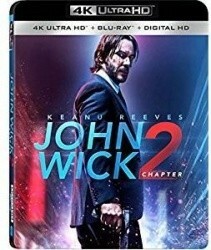 This week, BestBuy.com offers your choice of "2" Select Blu-ray Movies for $9.99, price drops in cart when two are added. Free shipping on orders over $35. Save on shipping by choosing free in-store pickup at a Best Buy store near you. 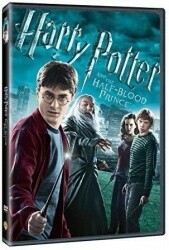 BestBuy.com has your choice of over 30 3-D Blu-ray Movies for $9.99 each. Choose from great titles including Ghost in the Shell, Star Trek Beyond, Top Gun, Titanic and more. Free shipping on orders over $35. Save on shipping by choosing free in-store pickup at a Best Buy store near you. 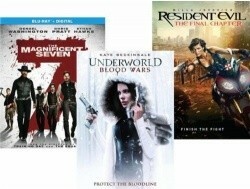 This week, BestBuy.com has select Blu-ray Movies buy one and get the 2nd free. Choose from pulse-pounding titles like Kingsman: The Golden Circle, Alien: Covenant, Logan and more. Free shipping on orders over $35. Save on shipping by choosing free in-store pickup at a Best Buy store near you. 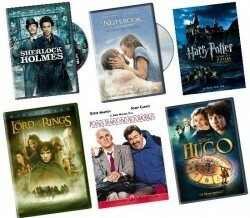 Target.com has a big selection of Top DVD & Blu-ray Movies for $10.00. Free shipping on orders of $35 or more. Get free shipping on all orders and 5% off with a Target REDcard. 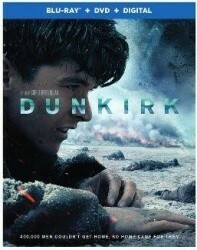 BestBuy.com has Select 4K Ultra HD Blu-ray Movie Titles on sale for $19.99 each this week only. 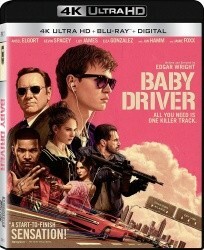 Titles include Baby Driver, La La Land, Arrival and many others. Free shipping on orders over $35. Save on shipping by choosing free in-store pickup at a Best Buy store near you. 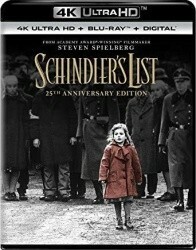 This week, BestBuy.com has Hot DVD Titles starting at only $3.99. Choose from Blazing Saddles: 30th Anniversary Special Edition, the entire Oceans collection, The Wedding Singer with Wedding Crashers, and more. Free shipping on orders over $35. Save on shipping by choosing free in-store pickup at a Best Buy store near you. Amazon.com has a special promotion for 4K Ultra HD Blu-ray movies. Choose any 3 from a selection of featured 4K UHD titles for $49.99. Free shipping is also included with this deal. 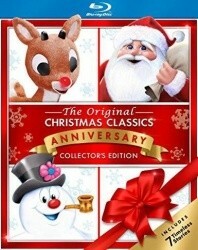 Amazon.com has the Christmas Classics with Frosty, Rudolph and Santa on Blu-ray including 7 holiday favorites for $12.41. Free shipping with Amazon Prime. Don't have Prime? Get a free 30-day trial, otherwise get free shipping on $25 or more. 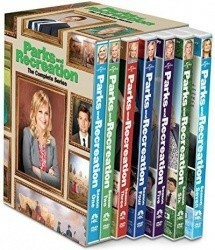 Amazon.com offers their best-selling Parks & Recreation: The Complete DVD Series for $18.99. Free shipping with Amazon Prime. Don't have Prime? Get a free 30-day trial, otherwise get free shipping on $25 or more. Gold Box deal! Amazon.com has the Prison Break Complete Series Seasons 1-4 Collection Blu-ray Set for $39.99. Free shipping is also included with this deal. 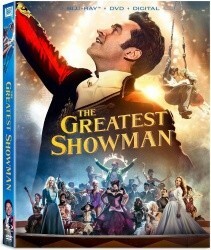 BestBuy.com is offering select Blu-ray and 4K Blu-ray Movies buy one and get the 2nd free, follow the direction on the page and discount will apply in cart. Free shipping on orders over $35. Save on shipping by choosing free in-store pickup at a Best Buy store near you. 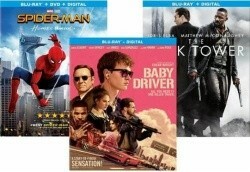 BestBuy.com offers your Choice of Three (3) Blu-ray Movies for $20.00, discount will apply in cart. Free shipping on orders over $35. Save on shipping by choosing free in-store pickup at a Best Buy store near you. 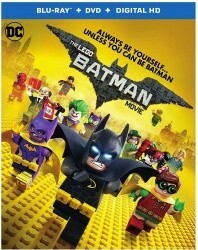 Amazon.com has the The Lego Batman Movie (Blu-ray + DVD + Digital HD) for $15.00. Free shipping with Amazon Prime. Don't have Prime? Get a free 30-day trial, otherwise get free shipping on $25 or more. 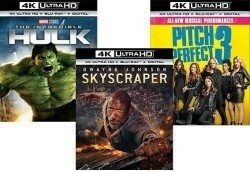 BestBuy.com is offering your choice of Two (2) 4K Ultra HD Blu-ray Movies for $20.00. You must add 2 to your cart to see this price. Also, free shipping is included with this deal, although some items are available for store pickup only. BestBuy.com has your choice of 20 select Steelbook Blu-rays for $9.99 each. Free shipping on orders over $35. Save on shipping by choosing free in-store pickup at a Best Buy store near you.